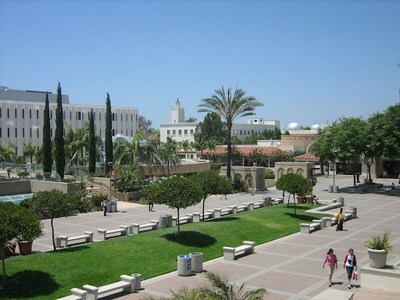 SDSU is one of the largest universities in California, and is competing academically on a level more comparable to the UC schools than the CSU system, despite the numerous obstacles thrown in its way. So why is SDSU still treated by the state government as a lesser institution? And why should the university president be any less valued than some of his UC counterparts given the growing reputation and increased stature of SDSU? There was a story in the LA Times the other day about how California Governor Jerry Brown’s appointment of Herbert L. Carter to the CSU Board of Trustees was rejected by California Senate Republicans, largely because he voted in favor of paying newly hired San Diego State University president Elliot Hirshman a $400,000 annual salary. The uproar over Hirshman’s proposed salary began back in July, 2011, when legislators of both parties expressed outrage over the more than $100,000 raise Hirshman was set to receive over the $297,424 2010 salary of his predecessor, Dr. Stephen Weber, who retired at the conclusion of the 2011 academic year after 15 years at the helm on Montezuma Mesa. This came at the very same time (same meeting, in fact) that the CSU Trustees voted to raise student fees in light of the state’s demolition derby routine on the California education system. There are a few things that you should know about the job that Dr. Hirshman stepped into: First, SDSU is a campus of over 31,000 students—making it the third largest campus enrollment wise in the CSU system and the fifth largest in California. It offers 85 different Bachelor’s degrees, 76 Master’s degrees, and 19 Doctorate degrees. 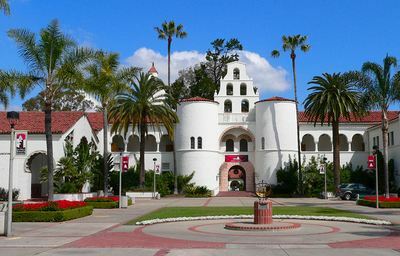 San Diego State is one of the most applied to schools in the entire country, having received over 69,000 applications for the Fall 2012 semester. The Carnegie Foundation has categorized SDSU as a High Research Activity University, the only California State University campus to earn such a distinction more commonly associated with the University of California system schools. And under the leadership of Dr. Weber, SDSU broke into the US News rankings, coming in at #164 as a nationally ranked university. Unlike the University of California system that counts eight different campuses in the national rankings, SDSU is the lone CSU campus to rate as a national university. According to the California State University system, SDSU generates an annual economic impact on the San Diego region of $896 million and $1.2 billion statewide. That’s not exactly chump change. And as the SDSU campus continues to grow the impact will only become greater. SDSU is an impacted campus that unlike in decades past can be much more selective about who gets admitted to the school. Only about 30% of applicants get accepted, and the average high school GPA of those first time applicants just coming out of high school is 3.62. Dr. Hirshman isn’t exactly taking charge of a small, middling university. There’s a helluva lot going on up on The Mesa. The school made incredible strides in its academic standing and achievement under Weber, and Hirshman is expected to take up where Weber left off and continue that climb up the national rankings. Not only that, he’s expected to raise hundreds of millions of dollars in donations to the university to help fill the gap left by the state’s budget cuts, and to do so without harming the university’s ability to continue its academic ascension, all the while overseeing the growth of a major Division 1 athletics program that is achieving national recognition in its own right (and bringing notoriety and much needed dollars to the university). Given the massive shoes that Hirshman was brought in to fill, it would appear logical that the CSU Regents would find it necessary to pay a salary commensurate with the immense responsibilities that come with running a campus like San Diego State University. After all, this is no longer your average university—it’s the crown jewel of the entire CSU system. And as an Aztec myself, I’m damn proud of that fact and of what this university has accomplished over the last 15 years, even if it means that had the admission standards been as tough when I applied as a high school senior as they are now, I probably would not have been accepted. I can live with that. Given that SDSU is climbing up the charts and is now becoming more comparable to the UC schools than to its CSU brethren, it’s only fair to compare what some of the UC Chancellors make, as they have similar responsibilities to what Hirshman is assuming. According to a search tool of state workers’ salaries operated by the Sacramento Bee, UC Berkeley Chancellor Robert Birgeneau in 2010 earned a salary of $416,596 (2011 figures were apparently not available). UCLA Chancellor Gene Block earned $397,183 in 2010. UC San Diego Chancellor Marye Anne Fox earned $387,887. UC Davis Chancellor Linda Katehi earned $382,249. Compare that to the whopping $1,323,911 paid to Ohio State University’s E. Gordon Gee, or the $579,150 paid to Ball St. University’s Jo Ann Gora (yes, Ball St.). Also consider that a study found that the CSU campus presidents were seriously underpaid when compared to their peers (as you can see from the link just above), and it’s pretty clear that the $400,000 SDSU is paying Elliot Hirshman is pretty fair given the university he’s being given command of. Fifteen years ago Stephen Weber saw the potential of SDSU and the opportunities offered by calling the San Diego region home. Under his leadership SDSU has become a nationally recognized and respected research institution. Under his leadership SDSU has narrowed the academic gap separating it from the UC schools. Entrance requirements at San Diego State have never been more stringent, and academic achievement at the school has never been higher. Elliot Hirshman is being asked to build upon that vision fostered by Dr. Weber. In order to attract the best people, you have to pay them accordingly. If SDSU is going to continue to grow and compete with the UC campuses, then it must have somebody the quality of Stephen Weber at the helm (who was grossly underpaid, by the way). Instead, state legislators would seek to limit the university’s ability to attract the best and the brightest leaders who can guide SDSU to even greater heights. Or is preventing SDSU from being able to compete on the level of the UC schools the point? San Diego is big enough for two world class universities. There is no reason that SDSU shouldn’t be able to provide an education on par with what UCSD offers; a quality education that all of San Diego can be proud of. Yet standing in the university’s way are arcane rules governing the CSU system that gives preferential and deferential treatment to the UC system. The greater the standing SDSU has nationally, the greater the impact the university will have on the region, and the more money that will be brought into the university’s coffers. In order for SDSU to continue to become an academic powerhouse, it needs top notch leadership. And in order to attract that quality of leader, the school must be allowed to offer a competitive compensation package. After all, you get what you pay for. And at $400,000, the CSU system is paying SDSU’s president a salary that falls right in the middle of what leaders of comparable universities are earning. My guess is he will earn every penny of it. There is no good comparison between SDSU and UCSD. There is no good comparison between the students (half the incoming freshman need remedial work in math or English at SDSU), the level of the class work, the research money and opportunities, or the school ranking. While it is wonderful that SDSU is ranked #164 (Go Aztecs), UCSD is ranked #8. While it is wonderful that the average GPA and SAT scores at SDSU has risen to 3.6 and 1579, the average at Berkley is 4.48 and 2005. I have taken classes at both SDSU (MBA 1991) and UCSD and there was no comparison. Material and books that would have been covered in two semesters at most schools were cover in one quarter at UCSD. You make a good argument Weber should have been paid more, not that the new guy should start at $400,000. Berkeley ranks #21. UCLA ranks #25. UCSD comes in at #37, not #8. It’s all right there in the links provided. While we’re at it, according to UCSD’s own statistics, the average incoming freshman’s GPA was 3.96. At UC Berkeley, the average unweighted GPA of the freshman class was 3.88, with a weighted GPA of 4.35. But let’s not let a little thing like the facts get in the way of a good story. But don’t let my facts get in the way of your story. How about some data on research money or Nobel Prize winners. Should this help determine pay? Can’t fine the number of winners at SDSU. UCSD has had six. LOL, in those ranking which are outdated because the new ranking come in later this year, SDSU is ranked number 89. Did you graduate from a UC school? You lack research or your research was a deliberate attempt to make a false point that is mute. To be honest who cares really, you can’t fault a University that is striding to better itself. I think you read this article and were a bit over angry, which led to a decisive and quick critic, with wrong research data. Oh well I suppose, you’re mad at SDSU because they rejected you application for a graduated degree, but its still possible if you reapply. Executive management, as a rule, is grossly overpaid. The SDSU President is part of a team – a large team. Consider value added – the most talented individual holding that position is limited in the value they might add to the institution. What is the quality of the character of the person who is mainly after the money? And Prestige – yes a better SDSU is good for San Diego. How many of us attended a college because of the President? Programs and faculty bring more prestige. SDSU is also leaving talented Californians, and espcially San Diegans behind! San Diego State is supported by the PEOPLE of this city and OUR tax dollars. I was particularly outraged when I read about the new admissions policies that rescinded support for the kids living south of I-805. This is just one more example of the 1% unjustly taking opportunites from the rest of us, the 99%. It is apparently not enough that the price of college is almost prohibitive for middle or lower class students to afford, now we have to give preferential treatment in admissions to the 1% as well. We should give preferences to the children of the working class. Also, Administrative and CEO salaries are OUTRAGEOUS right now. There should be NO RAISES for Administrators or CEO’s-only cuts until their salaries are no longer OBSCENELY higher than a normal working person’s salary. ALL OF THIS IS OUTRAGEOUS! WE MUST DRAW THE LINE STARTING HERE! Interstate roads ending in ‘5’ run north and south. Interstate roads ending in ‘0’ run east and west. San Diego State University is a state school not a city school. Every state citizen should be eligible to go to this school with attendance dependent upon academic standing. And the top 1% (by income, wealth, standardized test score, GPA, athletics, etc.) are not taking your spots at SDSU. and you wonder why your college fees are going up ??? I don’t see why SDSU couldn’t become the new Penn State of Southern California. SDSU and UCSD are always doing research and work together and often pair up for research and improve the community. SDSU could become ranked in the top 100 by 2015 and have athletics to back up a rise in academics. SDSU, has an opportunity to become big, and I don’t see why it shouldn’t be given a chance. 4 years ago, I would have downplayed the assertion of SDSU becoming as good academically as a UC school, but seeing how the university has changed to where it is now I would like to see what they could become. I could imagine a campus like Penn State in 10 to 15 years from now. The rise of SDSU begins at the state level, they need a budget comparable to what UC schools are getting. I think there is a need to give them the budget so that they can have an opportunity to succeed. Just look what has happened in 4 years, and I can’t wait for what the future will bring. UC Berkeley Chancellor Birgeneau ($450,000 salary) has forgotten he is a public servant, steward of the public money, not overseer of his own fiefdom. Tuition fee increases exceed national average rate of increase; On an all-in-cost ranked # 1 most expensive public university; Recruits (using California tax $) out of state & foreign affluent $50,600 tuition students who displace qualified instate applicants from Cal; Spends $7,000,000 + for consultants to do the work of his management team (prominent East Coast university accomplishing same at 0 cost); When procuring consultants failed to receive alternative proposals; Pays ex Michigan governor $300,000 for several lectures; Tuition to Return on Investment drops below top 10; QS academic ranking falls below top 10.